It’s always tough to decorate a rental when it’s not a home owned by you. Rentals often come with rules and regulations and make it hard to change anything and give your rental a cosy, personalised feel. If you’re looking to redecorate and make your rental feel more like your home, look no further. Here are a few ways you can update your rental for a more homely feel. All white walls are nothing but boring. Add some flare to your rental with a gallery wall. To make a gallery wall, combine framed pieces with wall décor. You can have various pictures of you and your family, framed quotes, framed maps and pictures of anything you like. Combine that with a gold arrow, a monogramed letter of your last name or any other piece of decoration that’s special to you. Don’t forget to use no mark wall hooks to keep the landlord happy. This is the perfect way to bring out your personality into your own space. Even though it’s a rental, you can make it feel more homely with all the things you like hanging on your wall. Get organised in the best way possible for a rental. Use command hooks to hang everything. You’ll be able to have long lasting décor, or take it down as soon as you’re ready to move. There are so many different things you can do with command hooks to update your rental and make it feel like home. Command hooks are great for rentals because they don’t puncture the wall, and leave no marks behind when you remove them. The next person to move in will never know you had something hanging when you use command hooks. Vintage items are easy to find and use to decorate in your rental. Find vintage pieces and use them to decorate or create a theme in your rental. Sometimes finding a timeless piece is just the thing you need to bring your collection together. Having vintage items on display will make your rental feel more cosy and personalised. If you have a book shelf, add some old fashioned trinkets (like picture frames, candlesticks or jewellery boxes) to the display. It will liven up the shelf and lend your interior some old world charm. If you have a passion for vintage items, don’t be afraid to decorate with them in your rental. Bring the old and the new together for a warm homely cottage feel. Windows are what let natural light come into your space. That’s why window coverings are essential to creating a homely feel. By adding window coverings to your space, you can upgrade the aesthetics as well as make it feel more comfortable. With the right treatment, your windows will bring out the interior of your rental. You can really personalise this upgrade by choosing the best fabric and colours to go with the furniture and other décor in your space. Whether you get long ‘flowy’ curtains that hang from ceiling to floor, or you focus on the chic simplicity of blinds, your window treatments will help to give your rental a homely feel. Updating your place can be costly if you buy everything new. Do yourself and your bank account a favour by shopping at second hand stores and websites. It’s easy to find gently used items on second-hand sites. So many people are selling online because it makes the swap faster. You can shop around with the luxury of not ever leaving your couch. Most sellers will describe the item and also it’s condition. Be sure to check for a smoke-free and pet-free home if you want to ensure a clean purchase. You can find new and like-new items for half the price if you shop at garage sales and op shops. Even consider taking some time to organise and de-clutter your own garage. This can be an easy way to make space for your most unique possessions and also earn some extra cash towards your new decor purchases. 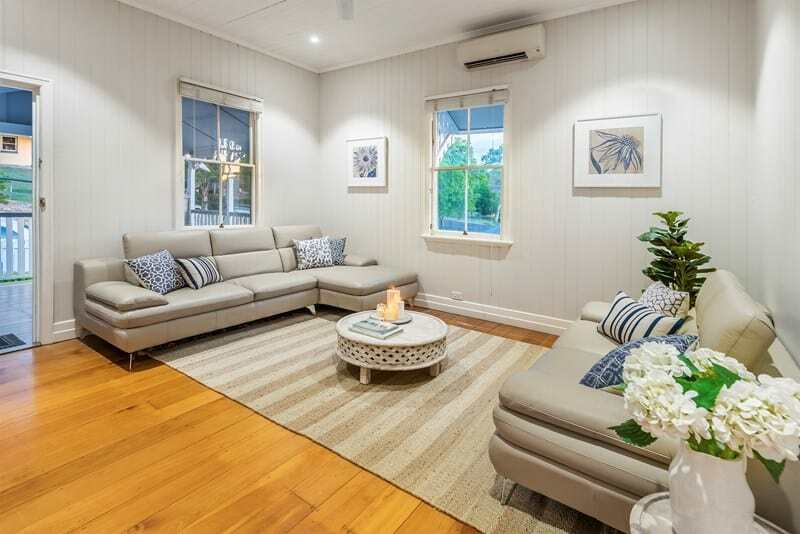 If you want a cosy, homely feel in your rental, it’s all about the atmosphere. Candles are an easy way to give you that ambiance you want. You can purchase candles for a very low price, but it will make your rental look extremely elegant. Scented candles will give you a classy look for a little price, plus they smell great. There are plenty of ways you can decorate with candles. Candle light in every room will give your rental that glow it needs to feel warm and welcoming. Turn your room from rental to home with soft mood lighting and the sweet smell of your favourite scented candles. 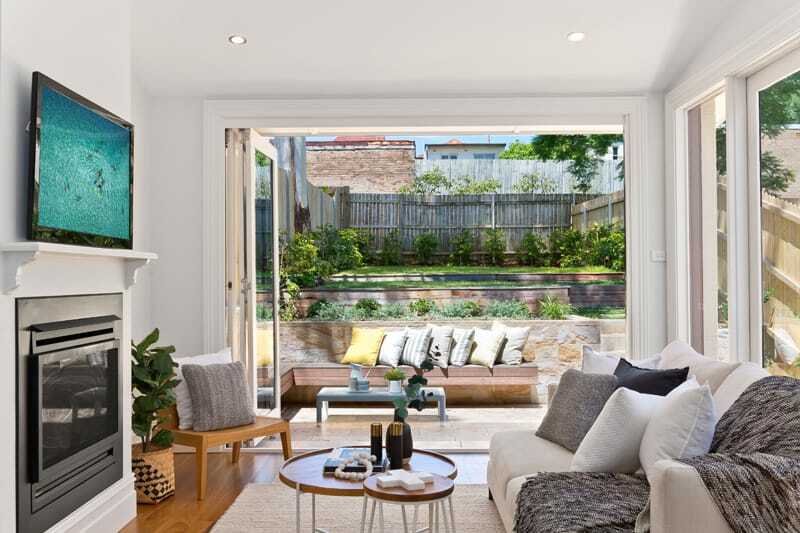 What makes a rental feel homely is the ability to get comfortable and cosy. Throw pillows and blankets are the perfect way to do that in your living room. They can be draped across any accent chair, couch corner or ottoman in your living room for a cosier look. Throw pillows and blankets are also a great way to bring pops of colour into your rooms. You can really lift the look of a space just by adding a simple vibrant accessory or two. Making your rental feel like home shouldn’t cost you a fortune. Take the steps you need today for a homelier feeling rental tomorrow. 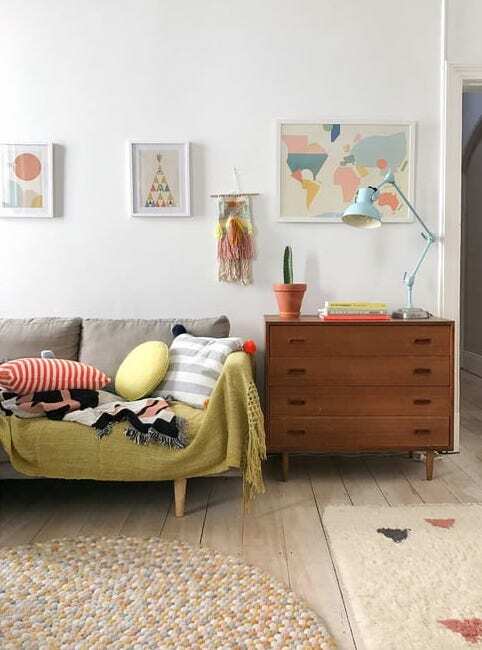 For more budget-friendly decorating tips here are nine ways to make your living room more homey for under $100, six DIY decor ideas for renters and eight creative places to display art at home.